Stone Finish Memorials offer our Evesham collection within our brochure. 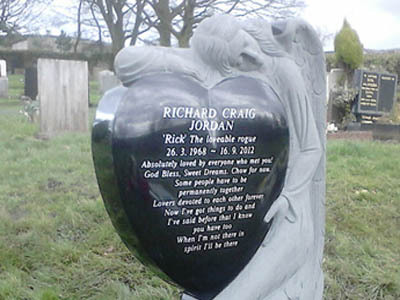 You will find a whole range of memorials and memorial headstones, it is important to remember, that any shape or design can be manufactured in any material and all ornaments and designs are interchangeable. Because of its enduring properties, our granite maintains its beauty with minimal weathering or deterioration, and a very high polish is suitable for sandblast, and hand etched ornamentation. We can also clean and re-level your memorials and repair any damage to keep your gravestones looking their best. Contact us if you need memorial restoration services in Bradford.